118ml (4oz) Apply 3 coats to your piece. On vertical pieces: taper the coats towards the bottom of the piece to prevent against glaze running off the ware.Because of the flowing nature of the base glaze and the crystals we suggest tapering off the number of crystals applied to the bottom third of vertical piece. Glaze and crystals could run off the piece or gather at the base and form unsightly lumps. 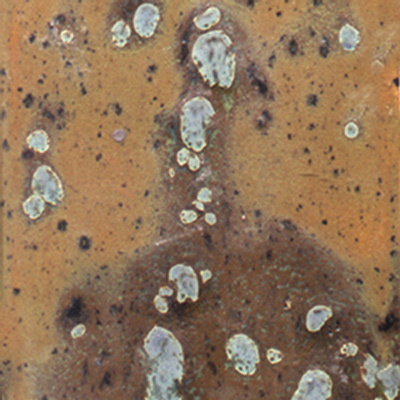 Similarly horizontal pieces, such as a plate, could cause the glaze to pool excessively if crystals are too heavily gathered on sloped section of the piece.